TRS is committed to the use of state of the art warehouse and distribution technology which ensures our goods reach customers in peak condition. The TRS brand is market leading in the UK independent sector and has a growing presence in several major UK multiples. The brand is also available throughout the European Union, Russia, Canada and the USA. TRS has experience and expertise in every avenue of the business. We are perfectly placed to take on challenges today, tomorrow and in the future because we constantly invest in our staff as well as our wholesale and cash & carry facilities. The past five decades have brought with it many changes but through a process of continuous development the business has succeeded in meeting the ongoing requirements of global sourcing and distribution while satisfying the increasing and varied needs of our consumers. 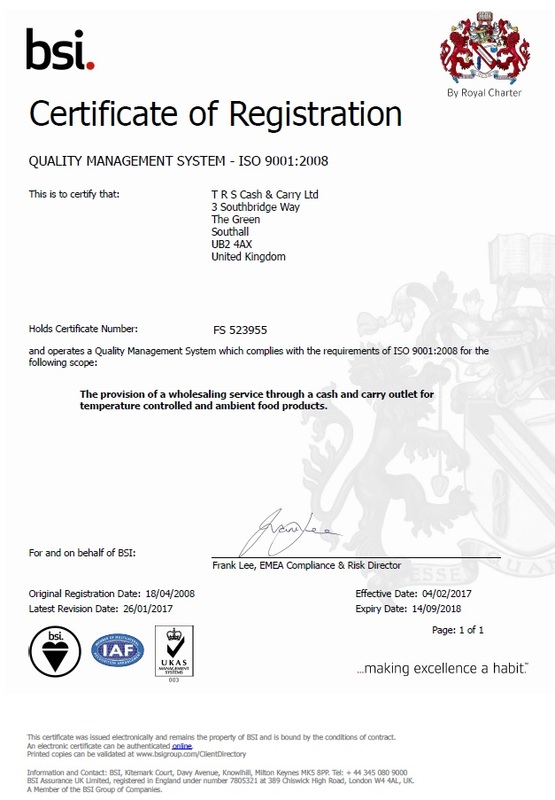 Quality always comes first at TRS which is why stringent checks are carried out at every step – from the sourcing and arrival of raw materials to the dispatching of finished products around the world. 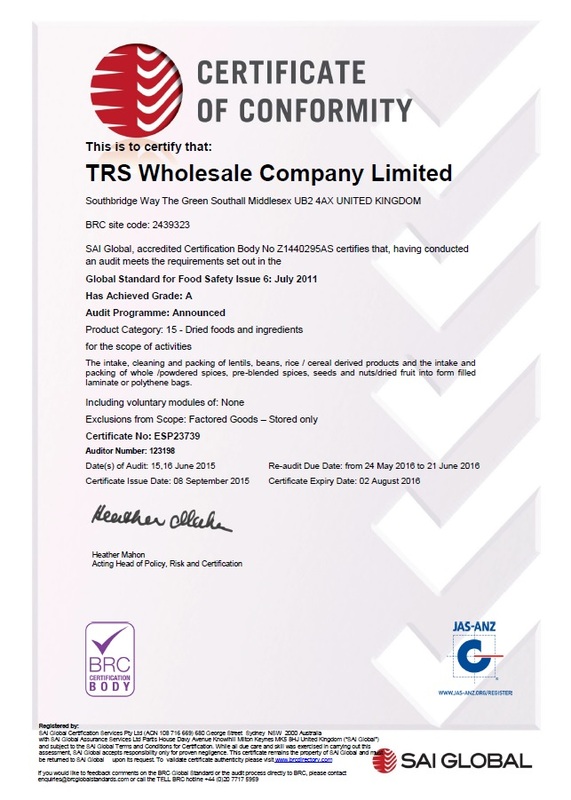 All TRS products are packed by factories awarded with high level British Retail Consortium (BRC) accreditation and our products are sampled to BRC standards before they are sent to independent laboratories for microbiological analysis.